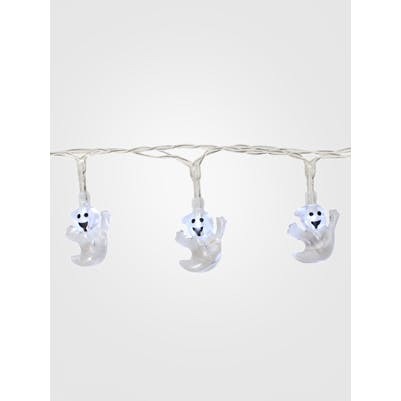 10 Mini Ghosts LED string lights. Light set is for indoor use only. Use along the top of picture frames or in plants or hanging down the side of a door. Battery operated (not included), needs 2 x AA batteries.